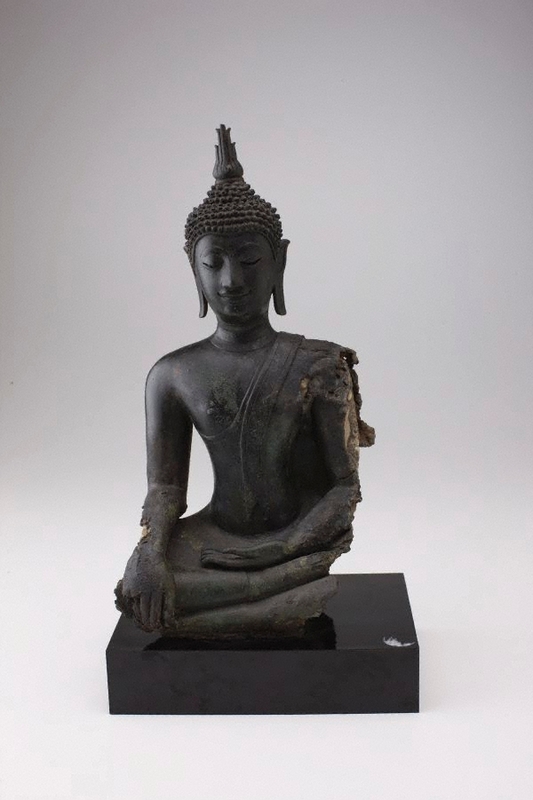 The Buddha subduing Mara became a favoured pose in Sukhothai and the following U-Thong styles. In legend while Buddha was mediating to attain enlightenment, Mara, the prince of evil, launched an assault. In moving his right hand from the meditative pose to point to the ground, Buddha called the Earth Goddess to witness his goodness. By wringing her hair she caused a flood that forced Mara to flee. Asian Art Department, AGNSW, October 1985.